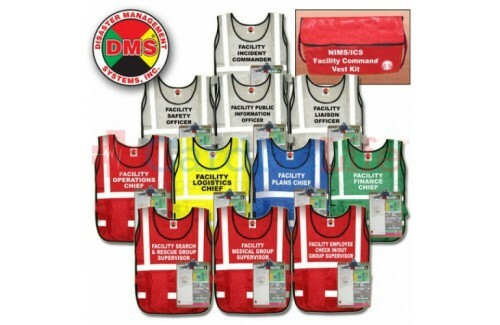 The Facility Command vest kit was designed to meet the needs of the private sector. 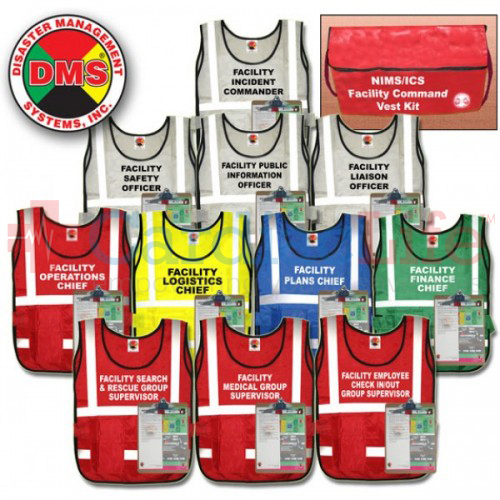 Combined with ICS training, emergency management planners, building owners or any group of dedicated people can design and implement a functional stand-alone preparedness and response plans. These plans could merge seamlessly with local emergency services upon their arrival.